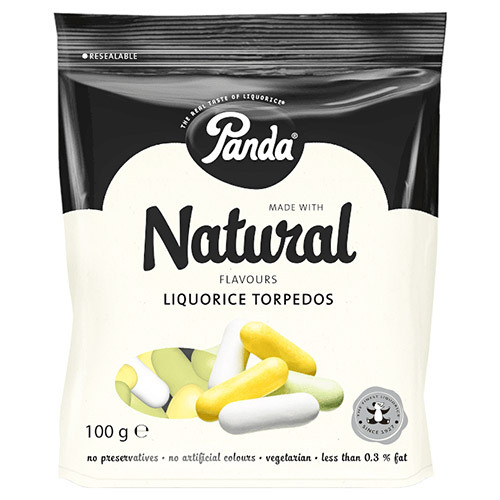 Panda Liquorice Torpedos are bits of soft and deceptively delicious liquorice, dunked in a delightfully crispy aniseed coating. Sugar, molasses syrup, wheat flour, maize starch, liquorice extract, glucose syrup, rice starch, thickener (gum arabic), glazing agent (carnauba wax), natural flavouring (aniseed oil) colours (beta-carotene, copper complexes of chlorophyllins). 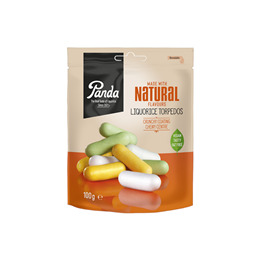 Below are reviews of Panda Liquorice Torpedos - 100g by bodykind customers. If you have tried this product we'd love to hear what you think so please leave a review.